Plant projects are organized and easy to clean with the Potting Station. A workspace is provided at standing height, with three shelves for storage. A base cabinet provides additional organization. 61″ L. X 24″ W. X 30″ H. to work top. Work top is Phenolic Resin, 1″ thick with 2″ high curb at rear. Hardwood Upper shelf assembly is 20 3/4" high x 8″ deep, and has two fixed hardwood shelves with rear curbs and vertical support ends. 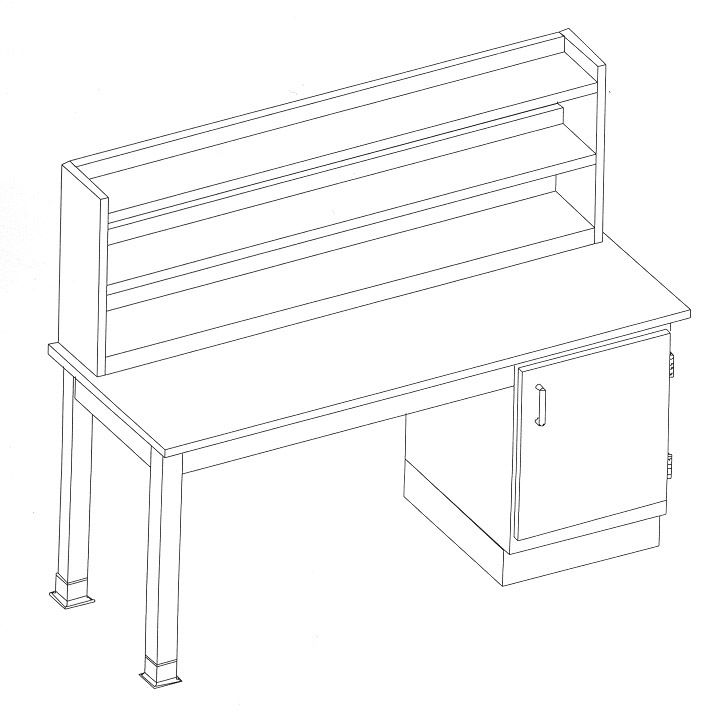 One (1) B182922-100 Base Cabinet to have one adjustable shelf. Knee space supported with leg assembly and fitted with Two #33802 soil carts with hardwood exterior and metal lined, water-tight interiors.